If you have ever been intimidated with sewing knit fabric, today’s post is for you! I think people fear knits because the fabric can sometimes stretch and roll as you are sewing and it can seem very daunting. But once you know a few tips and tricks, Sewing Knits Without a Serger can become second nature. So, let’s just jump right into it…. Tip #1–Use the right kind of needle. When working with fabrics like knit, the first thing to remember is that the fabric is actually knit (think knit one, pearl two). Because the fabric is knit instead of woven you need to use a ballpoint needle (or sometimes a stretch needle). You can see from the illustration above that the ballpoint needle is rounded instead of sharp and it is designed to push the thread around the knitting of the fabric, instead of piercing it. A ballpoint needle is the first step to sewing knits on your machine. Tip #2–Use the right thread. 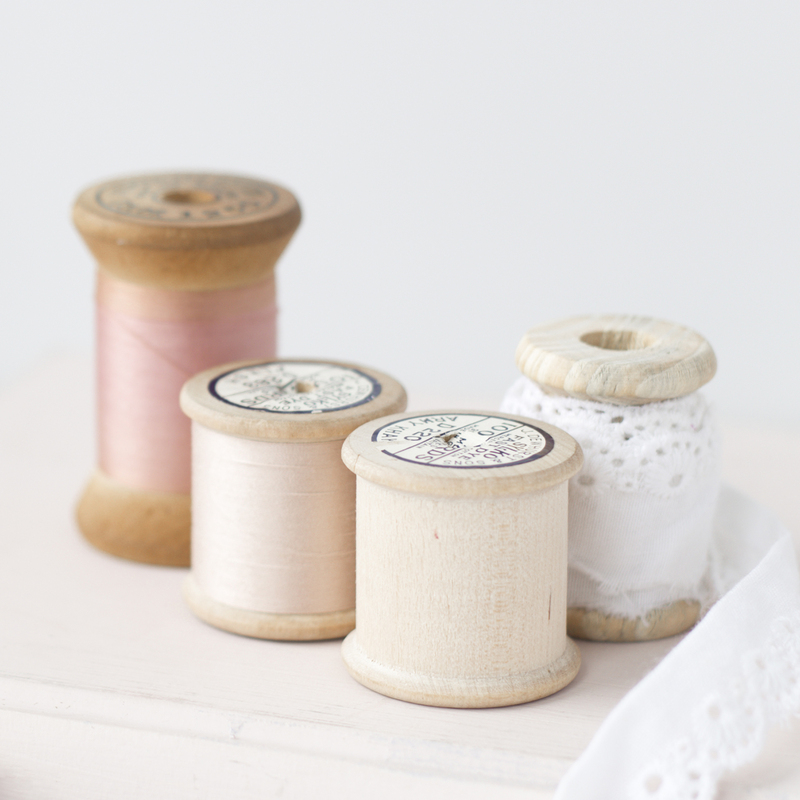 Thread is another important key in stitching knits on your sewing machine. Using stretchable thread like eloflex thread is great for knit fabric because it actually has some stretch in the thread itself. And also make sure you use it in the top thread as well as in the bobbin while you are sewing knits. Recently we were sent some eloflex thread and it has great stretch! I have a couple of upcoming projects to show you using it. Tip #3–Use a zig zag stitch or a stretch stitch. This step is going to take a little practice depending on the sewing machine you have, but a stretch stitch or a zig zag stitch will allow the seam to stretch after it has been sewn and help your seams not “pop” when the garment stretches. Read your sewing machine manual to see what the manufacturer recommends. Tip #4–Don’t stretch the material as you sew. I think a natural tendency when you are sewing knits is to pull or stretch the material as you are sewing it. Try to overcome that natural tendency by letting the feed dogs pull the knits through on the top and the bottom so they are not stretching as you sew. If you are having a hard time with the machine pulling too hard, switch to a walking foot. It can really help with not pulling or stretching the fabrics. Also, not letting your garment hang down as you sew can help with not stretching it. Rest it on your sewing extension table next to you as you sew. And if it does tend to stretch a tiny bit, using a hot steam iron can help them go back into place. Tip #5–Use fusible webbing on hems. Another thing that helps when sewing with knit fabrics is to use a quality knit. I usually recommend using a thicker knit for beginners as it has more weight to it and is easier to sew with. Also recognizing the difference between the different types of knits (2 way vs 4 way stretch) can really help you in the process of knowing how to sew knits. There you have it! And if you would like to practice sewing knits we have a few tutorials and patterns that would be great to start with. Like the Basic Leggings Pattern, The Maxi Skirt FREE Pattern or The Pencil Skirt pattern that are all meant for beginners and are great for knits! Any other tips you would add to this list? These are great tips! I am really excited to try the new thread! Sharing these great tips will certainly help me venture back into sewing with knits…thank you! Really excited to try this new thread! What stores/websites sell this thread? Great tutorial!